You are here: Home / Food & Drink / Maui Restaurants / Stella’s Tofu Scramble Returns! To Diamond’s Ice Bar! Diamond’s serves breakfast 8-11am and there are a select few items on the menu, but they cover all the bases. 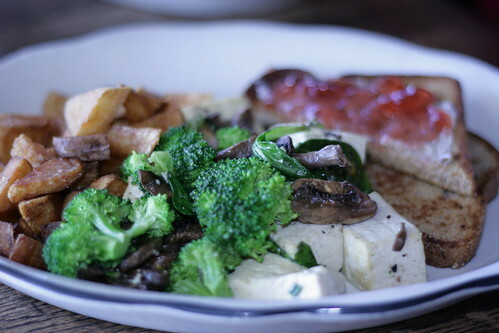 Foremost is the tofu scramble: a big vegetarian breakfast platter with sautéed tofu, spinach, broccoli and mushrooms with fried potatoes and a side of toast. 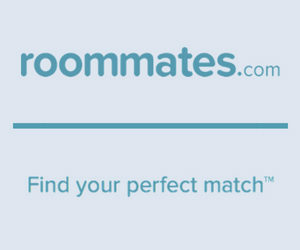 The only difference is that it’s $8 now. A friend of mine said it was just like the dish she knew and loved at Stella Blues. 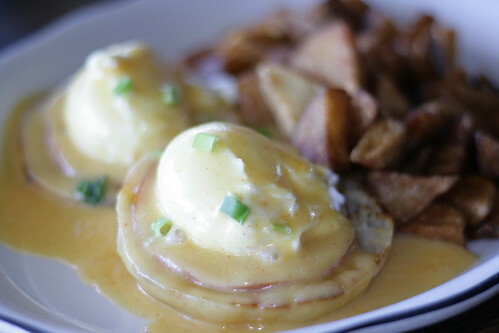 They also have Eggs Benedict. It has two perfectly poached eggs on Canadian bacon, and tender English muffins smothered in luscious hollandaise with a side of potatoes for $9. It disappeared before my eyes. For the classic eggs and meat combination, they have the All American breakfast: two eggs scrambled or fried with bacon or sausage, house potatoes and toast. Their house potatoes are really irresistible little chunks of crisp fried spuds, perfect for dredging breakfast gravies or dipping generously in ketchup. Their loco moco is broke-da-mouth hamburger patty with rice and gravy, and two eggs on top for just $8. Got a sweet tooth in the morning? 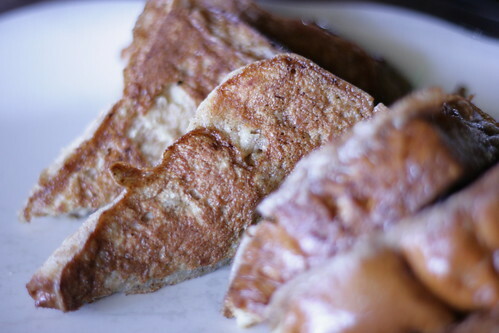 Then try their thick cut cinnamon bread French toast–six slices to an order. It tastes like cinnamon rolls. They also didn’t miss the bagel and lox breakfast, which was another of my favorite dishes from Stella’s menu. It’s an open-faced bagel that’s trimmed with plenty of cream cheese and lox and garnished with capers and red onion. Served with house potatoes, it’s $8. Giant bottomless cups of coffee completed my breakfast but if you’re in the mood for a Bloody Mary you won’t be disappointed by their Absolute Ultimate Bloody. Their mimosas are solid, too. Of course, Diamonds still offers their great daily specials, lunch and dinner, live music line up and happy hour.